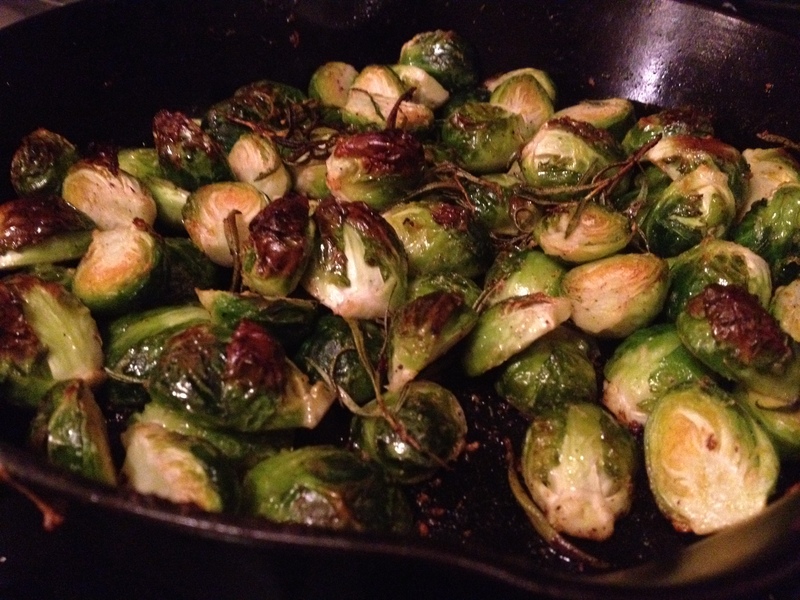 Rosemary Lemon Roasted Brussels Sprouts. Let’s keep this simple: I love Nigella Lawson. I love her recipes. I love her witticisms. I love her energy. So when I made her recipe for roasted brussels sprouts and discovered that a few lemon seeds had made their way into my final product, I wasn’t bothered in the least. All is right with the world. 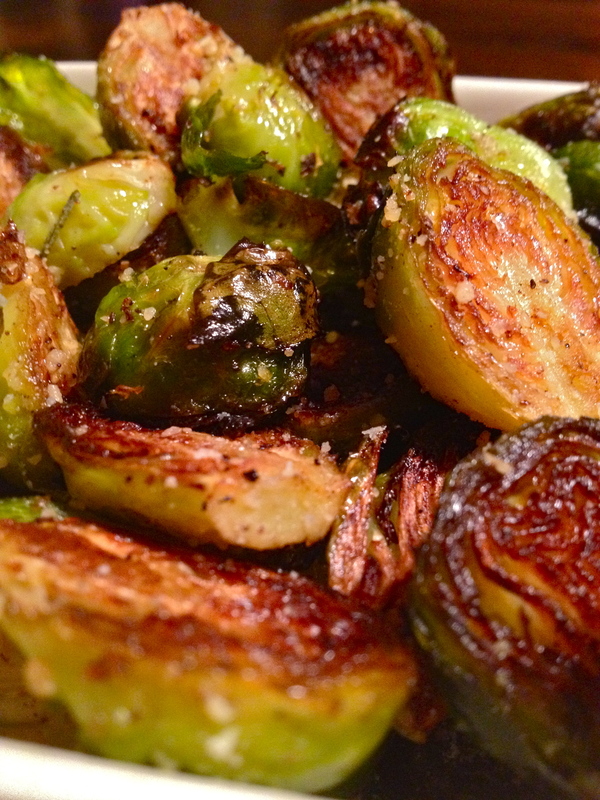 Try these Rosemary Lemon Roasted Brussels Sprouts a la Nigellissima yourself, and just be sure to mind the pips! NOTE: this recipe doubles and triples easily if you’re cooking for a bigger group! Drizzle olive oil on the bottom of a pan (I used my cast-iron skillet). Grate the garlic and lemons zest into the pan and, tearing the rosemary leaves apart roughly, strew them about the pan. You can leave them large enough to remove at the end if you like. Add the brussels sprouts and toss to coat. Roast for about 15 minutes, until starting to become tender. Drizzle with lemon juice and sprinkle with parmesan and salt and pepper at pop back in the oven for another 5 minutes. They’re ready when they’re tender but still have a little bit of bite in them. 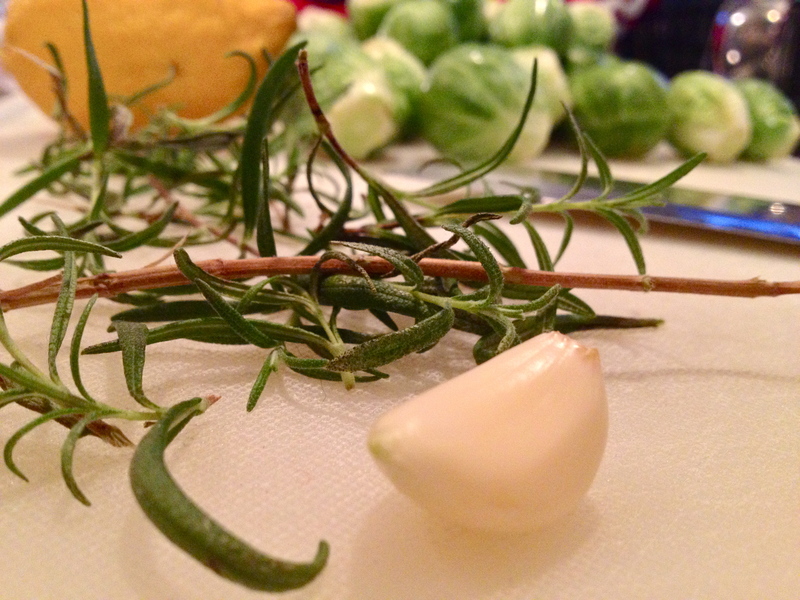 Pull out the rosemary leaves and serve ’em up! These make a fantastic side dish to an herby roasted chicken, but we ate almost all of them straight out with our fingers. Yeah, they’re that good! Previous Chocolate Crepes with Berry Yogurt Filling, and My Battle with Search. My mother is obsessed with Nigella. I quite like her too. Such a beautiful woman, so poised, and with great stage presence. Thanks for sharing your experience with her! She is all of that for sure :) We were thrilled at how normal and sweet she was. Love that lady!! How fabulous! It sounds like an incredibly worthwhile experience. And of course, the brussels sprouts look delicious. haha thanks. Nigella’s sprouts turned out a little prettier, but then we can’t all have a cookbook photo crew around when we’re cooking. Unfortunately. I think Brussel sprouts are fab.. You can do so many different things with them. It’s such a shame so many people have this dislike for them. Yours look delicious! Wonderful tribute to one of your favorite cooks, Kell! 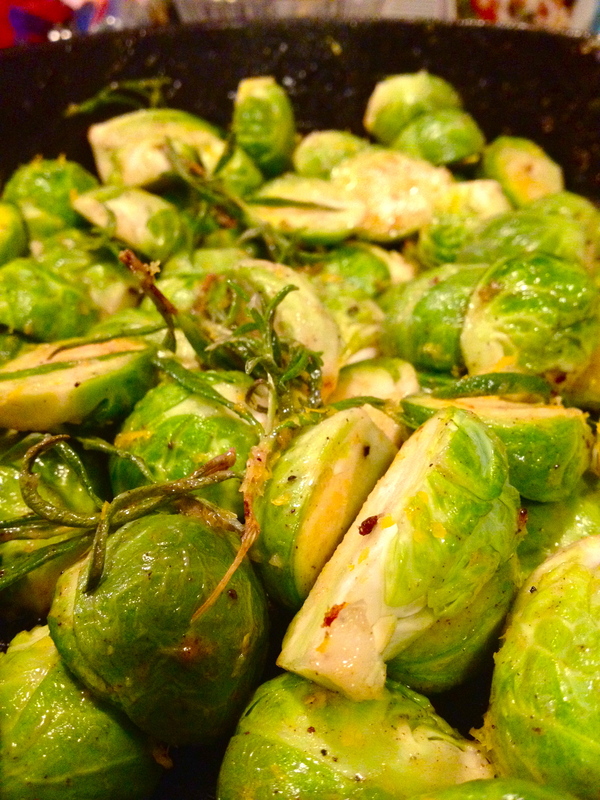 Kathleen and I are preparing these Brussels Sprouts with our dinner this evening! I can’t wait to try them. I am SO JEALOUS!!! I absolutely adore her. Like why is she so great and likeable?! I need to figure it out….and then copy her! Just found your recipe … Am prepping it now but have added chives and shallots.. Will let you know the outcome!